Francisco has been coordinating MSF's projects in Syria since January 2015. He has witnessed how the war in Syria has deteriorated, with destruction reaching a scale not seen previously, particularly over the past three weeks in east Aleppo. Since the ceasefire broke in September, the intensity of the aerial bombing campaign waged by Syrian and Russian forces is threatening to flatten the besieged area of the city. Francisco is speaking from the south of Turkey. His team is in regular contact with the eight hospitals supported by MSF in east Aleppo. The east of the city has been under total siege since July, soon after the month of Ramadan ended. Some doctors had taken the opportunity to accompany their families to Turkey during Ramadan, then found themselves unable to return. MSF teams have been unable to travel to Aleppo and visit the hospitals supported by MSF for more than a year. “What is clear is that we have lost the capacity to help in any major way,” says Francisco. 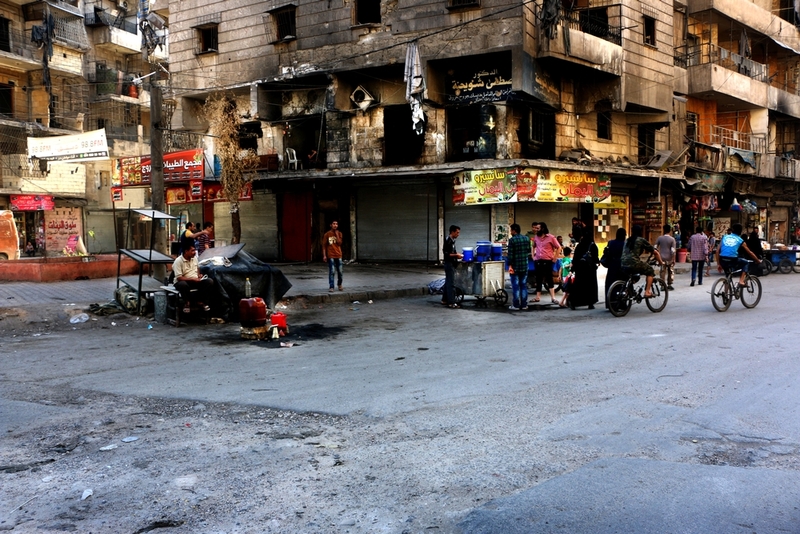 MSF has not been allowed to work in government-controlled areas since the beginning of the war, but it has been able to operate in areas under the control of the opposition, including in the rural areas north and east of Aleppo; in Maskan, between Aleppo and the Turkish border; and in Al Salamah, where it runs a hospital providing primary and secondary healthcare. MSF has also responded to help displaced people. Some 100,000 people have been displaced from their homes by the Islamic State group pushing west and government forces pushing north into Azaz. Since the Syrian Army took Maskan and the hospital was damaged by shelling, MSF’s area of response has become more limited. MSF is calling for an end to the indiscriminate aerial bombing campaign of east Aleppo, for the evacuation of the wounded and sick, for humanitarian aid to be allowed in, and for the right to be upheld of civilian populations to flee crisis areas in a conflict.